Goodtimepolitics: No way that Obama didn’t know what was going on with Solyndra and supported the company in its cronyism! No way could Solyndra get a half billion dollar loan without the President of the United States ok! Nixon was impeached over a less crime, so Obama should be impeached! MONROE, Mich. — A blast that turned a vehicle along a Michigan street into a blackened shell and seriously injured an attorney and his two sons was the result of a car bomb, police said Wednesday. There was a lot of power behind it. The victims are very fortunate, very blessed, to be alive,” Dawkins said. Authorities have not publicly identified the victims, but Dawkins said they are a father and his two sons. Local media identified the father as Erik Chappell, an attorney who specializes in business disputes and family law. 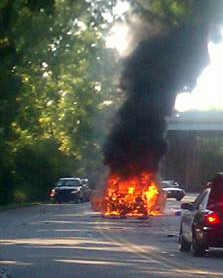 WXYZ-TV reported Chappell was driving his sons to football practice when the car exploded. Goodtimepolitics: We have a cancer in the Whitehouse that is growing larger daily and spreading out into the American people. Obama’s hope is not the hope people were looking for when they elected him as their leader! Backing the big unions and his campaign supporters with taxpayer money has pretty well bankrupt out great Country. Now Obama says if you will give him more money by the way of new taxes that he would be willing to cut medicare, medicaid and other benefits from the poor, does that sound like someone that is for helping the poor when he’s willing to take away from them if he is paid to do so? 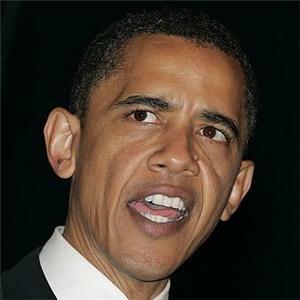 Obama has to be evicted from the Whitehouse in 2012 election! We need to get government our of our lives so that we can do what is needed to make a living for our families! Comments welcome! NOTE: Goodtimepolitics will be here posting for the remainder of this election cycle. Goodtimepolitics: This puts a whole new view to what happen in Arizona and could be the reason Obama was so fast in taking charge of investigating the shooting! Obama and the liberals will not like this news because they keep trying to blame the Tea Party people which is normal American citizens! A Foreign Intelligence Service (SVR) report circulating in the Kremlin today states that the top US Federal Judge for the State of Arizona was assassinated barely 72-hours after he made a critical ruling against the Obama administrations plan to begin the confiscation of their citizen’s private retirement and banking accounts in order to stave off their nations imminent economic collapse, and after having the US Marshals protecting him removed. According to this SVR report, Federal Judge John McCarthy Roll was the Chief Judge for the United States District Court for the District of Arizona who this past Friday issued what is called a “preliminary ruling” in a case titled “United States of America v. $333,520.00 in United States Currency et al” [Case Number: 4:2010cv00703 Filed: November 30, 2010] wherein he stated he was preparing to rule against Obama’s power to seize American citizens money without clear and convincing evidence of a crime being committed.